EU foreign minister Federica Mogherini "regrets" Trump decision to withdraw from Iran deal, says EU will remain in it. Federica Mogherini, the European Union’s High Representative for Foreign Affairs, reacted on Tuesday evening to U.S. President Donald Trump’s announcement that he was leaving the Iran nuclear deal. “It has been unanimously endorsed by UN Security Council Resolution 2231. It is a key element of the global nuclear non-proliferation architecture, it is relevant in itself, but even more so in these times of encouraging signals on the perspective of the denuclearization of the Korean Peninsula. The nuclear deal with Iran is crucial for the security of the region, of Europe and of the entire world,” said Mogherini. “We fully trust the work, competence and autonomy of the International Atomic Energy Agency that has published 10 reports certifying that Iran has fully complied with its commitments,” she said. “The nuclear deal with Iran is the culmination of 12 years of diplomacy. It belongs to the entire international community. It has been working and it is delivering on its goal, which is guaranteeing that Iran doesn’t develop nuclear weapons. The European Union is determined to preserve it. 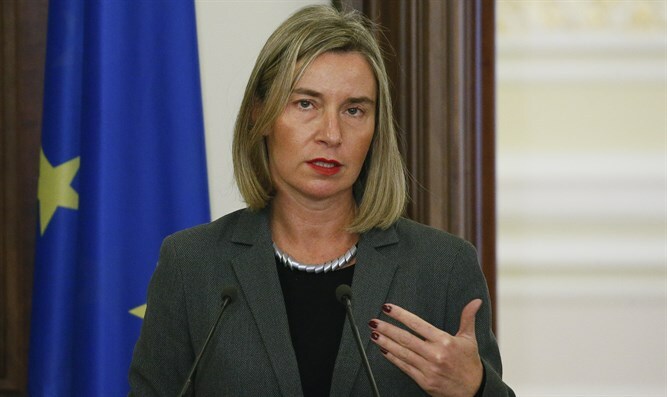 We expect the rest of the international community to continue to do its part to guarantee that it continues to be fully implemented, for the sake of our own collective security,” said Mogherini. “This deal belongs to each and every one of us. Stay true to your commitments, as we will stay true to ours. And together, with the rest of the international community, we will preserve the nuclear deal,” concluded Mogherini.